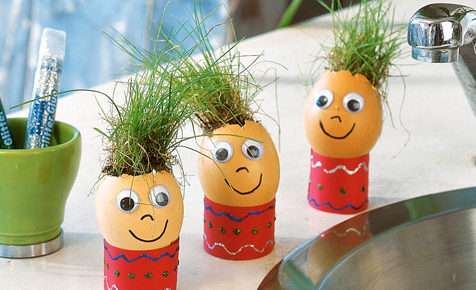 These fun grassy Easter ornaments are fab Easter table decorations, once they have fully grown their hair! Until then, they can be displayed on the kitchen windowsill. They are so quick and easy to make & each one can have it's own character!